OVERVIEW OF 2018 State Budget (HB 200)-JCTA President Brent McKim provides an overview of the key provisions in the 2018 state budget which impact public education. SB151 JCTA President Brent McKim summarizes Senate Bill 151, the pension bill, passed by the Kentucky General Assembly on March 29, 2018.
o KY Pensions (Part 1) Chronology - This is the first in a series of videos discussing recent events impacting the Teachers Retirement System of Kentucky by JCTA President Brent McKim. 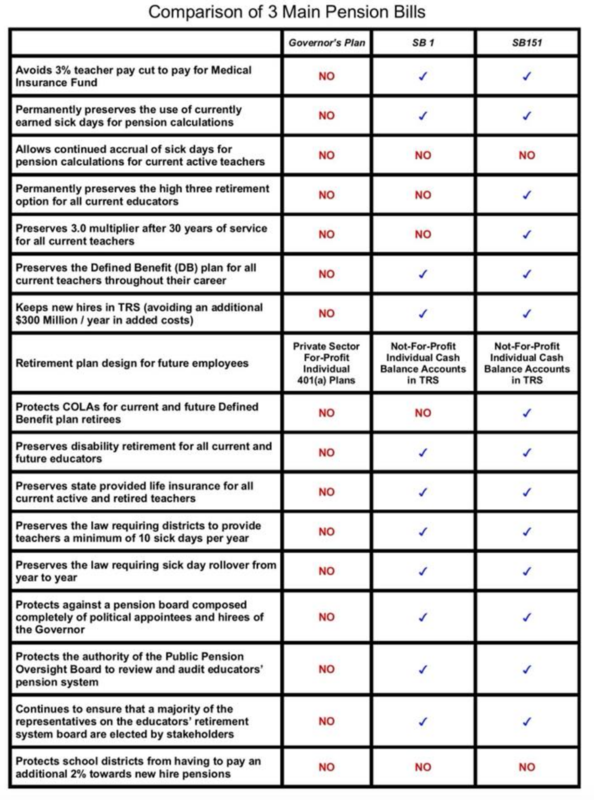 o KY Pensions (Part 2) What's not in SB15-Part 2 discusses numerous harmful provisions in previous versions of the pension bill that were removed through the effective engagement of JCTA/KEA members and their allies. o KY Pensions (Part 3) Changes for Current Active Teachers-Part 3 discusses the only change in SB151 that effects current active teachers. o KY Pensions (Part 4) Changes for Current Retirees-Part 4 discusses the provisions in SB151 that will affect current retirees and current active teachers who retire on or after January 1, 2019.
o KY Pensions (Part 5) Changes for Future Teachers-Part 5 explains the Cash Balance Hybrid plan for future teachers hired after January 1, 2019.
o KY Pensions (Part 6) Other SB151 Provisions-In this final video of the series, other miscellaneous provisions in SB151 are discussed.